I've been trying to think - when I decided that I wanted to open my little Etsy shop and I really can't remember - is that a bad thing?! I remember I was looking for cards for a birthday and some Christmas ones and I couldn't find any I liked and I thought to myself - why not just make them myself - and so I spent a good couple of months (before opening the shop) researching the most popular card sizes and companies that did those sizes - there are lots! I then bought a new printer and different cards and envelopes ... then found out you could buy card pre-creased (thats with the fold down the middle already - I know mind blown!!) 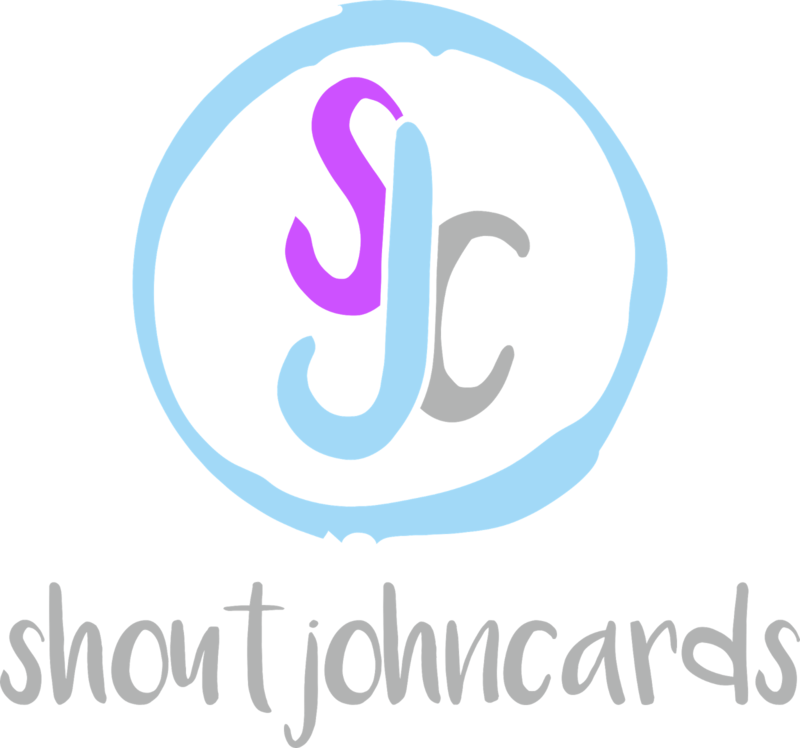 and then logo designing and then testing designs and spending ages and lots of ink - printing them to see what they looked like - "shoutjohncards" was born - an extension of shoutjohn (my blog). 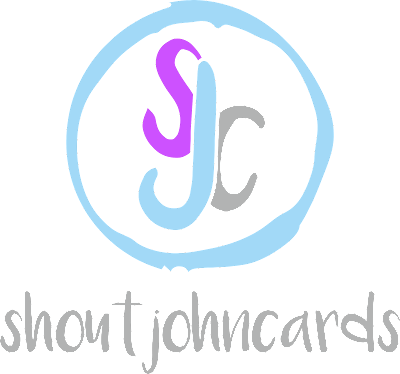 There are only a few cards on there at the moment as I am splitting my time between full-time work / blogging / YouTube / card making and well life (you know housework, boyfriend, social life etc).